WELCOME TO ALBERTA PROPERTY INSPECTION LTD. YOUR FIRST CHOICE FOR QUALIFIED HOME INSPECTORS. OUR YEARS OF HOME INSPECTION EXPERIENCE AND KNOWLEDGE ARE OUR GREATEST ASSET. Alberta Property Inspection (API) is one of the most trusted, established home inspection companies in Edmonton. API is an industry leader; since 1994, our team has performed over 11,000 inspections in the greater Edmonton area. 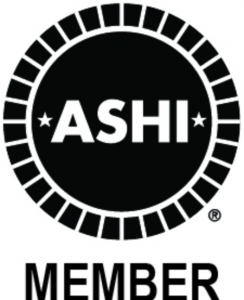 We are proud members of the Alberta Professional Home Inspector Society (APHIS), as well as certified infrared thermographers. We offer the highest technical and ethical standards in Alberta, and are an Alberta owned and operated company. API provides friendly attentive service, adding to the most important investment you may ever make. Whether you are purchasing a home, selling a home, or working with clients to find the perfect place to hang their hats, home inspections are critical, and extremely helpful for buyers to truly understand the condition of the home they are purchasing. We will provide an impartial assessment, and comprehensive home inspection report to prospective purchasers detailing the condition of the home and its major appliances. We will work with you to understand the significance of the details in our report, and answer any questions you might have. Close the deal with confidence knowing your home has been inspected by an experienced, competent, Professional Home Inspector. We are proud members of the Alberta Professional Home Inspectors Society (APHIS Alberta) and the Canadian Association of Home and Property Inspectors (CAHPI).